OptimizePress is a WordPress theme or plugin that has extra features such as sales funnels, e-commerce and membership functions. The OptimizePress theme includes an advanced Page Builder with many page templates. OptimizePress 2.x includes some features that aren't compatible with PilotPress. 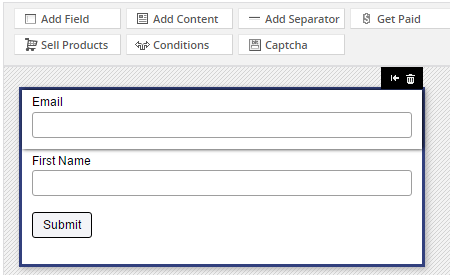 Using the Page Builder with ONTRAPORT Smart Forms works well with PilotPress enabled. However, features such as OptimizeMember cannot co-exist with PilotPress, as both try to manipulate the user database. Using the advanced features of OptimizePress and then integrating with ONTRAPORT requires using the ONTRAPORT API and not using PilotPress, a process for advanced programmers covered here. Support for OptimizePress advanced features through the API is handled by OptimizePress. 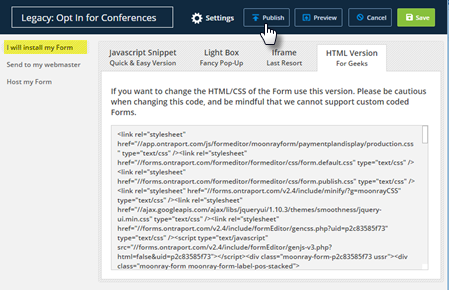 Use the OptimizePress HTML block to embed standard or "click to pop" ONTRAforms on a page. For automatic lightbox ("pop up") ONTRAforms using timed settings, percent of page scrolled, or exit intent, use the OptimizePress Page Settings > Other Scripts > After body Tag setting on each page. Create a legacy Smart Form in ONTRAPORT with matching fields. Because you need the HTML Version of the code you must use the legacy Smart Form editor, and not ONTRAforms, to create the form. 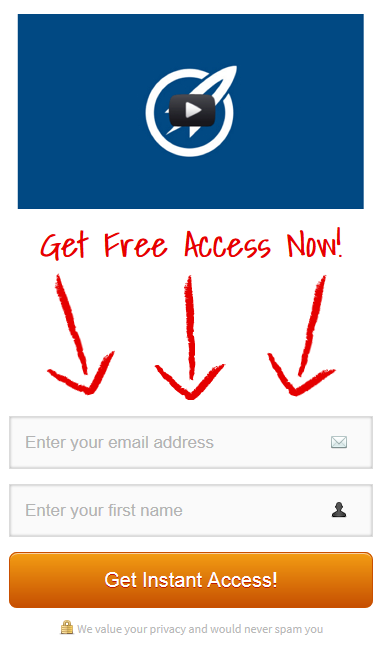 Click the Publish Form button and select the HTML Version for Geeks code. You may not have this option available in your account; see our List Bombing article for details. 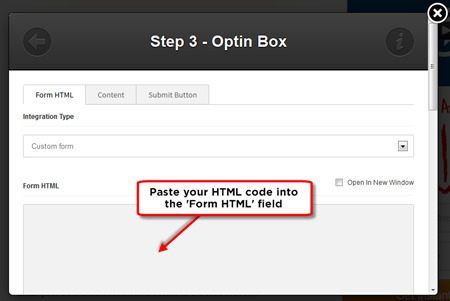 Copy the form code to the clipboard. Scroll down and assign the Name box to firstname. The rest of the settings should be pre-filled correctly. You should be redirected to the thank you page specified in the Smart Form’s Settings. In ONTRAPORT, the Contact Record should include the Tags, Sequences, etc. added by the Smart Form. This process is not necessary if you have PilotPress installed. PilotPress includes the ONTRAPORT tracking script by default. 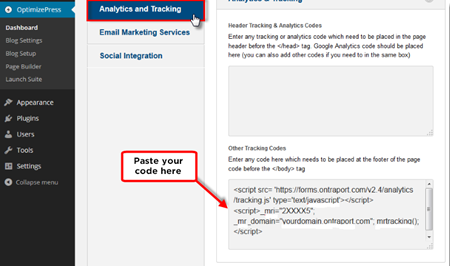 OptimizePress will not recognize the PilotPress shortcodes that are used to hide or show content on a page unless the shortcodes are added using their Advanced Element Options. Please see their help topic Using advanced element options to add external shortcodes for the procedure. Please contact OptimizePress Support for assistance with implementing these features.